Little Mate & I have recently been in isolation*. There was a breakout of chickenpox at his day care centre (one confirmed case obviously equals a breakout) and as I have been so on top of everything to have forgotten about the 18month round of vaccinations,it means that a night of high temps and a few random spots have been enough for a doctor to make us spend some time together, exclusive to everybody else. While doc thinks it probably isn’t chicken pox (the swabs will confirm probably tomorrow), the little fella is sick and is teething up a storm. With his hands constantly in his mouth and the epic amounts of drool overflowing, he is not making the isolation thing particularly easy. Oh yeah, and he has discovered the power of the epic anger tantrum. Please don’t get me wrong, I’m not complaining at all…I’m just venting to you. I know I am lucky and work hard to have excess sick leave available; I am adoring spending the time with him, just the two of us, as poor second child didn’t get the same focus that Giggles Magoo received. 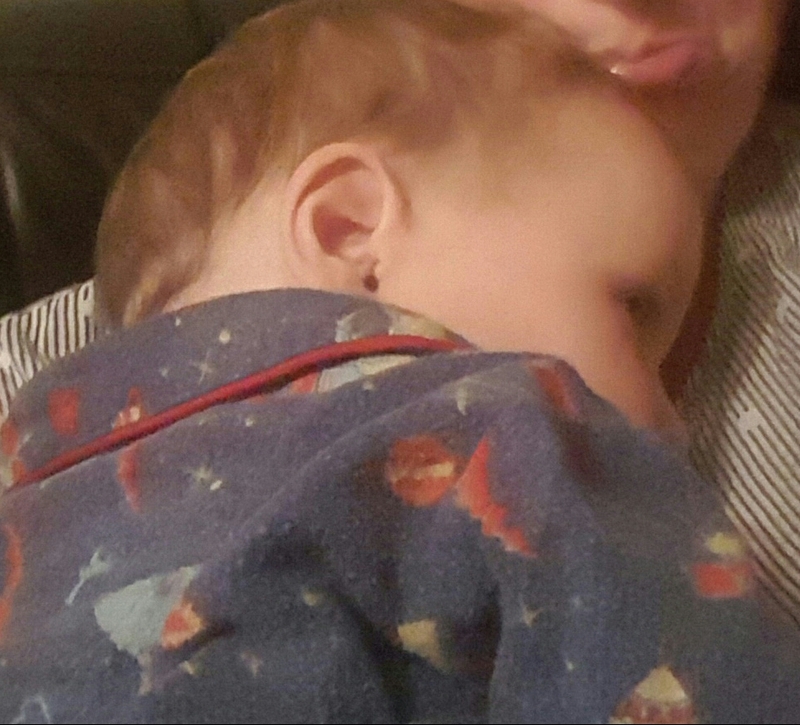 I’ve even felt inspried to set up craft and sensory play activities for us to do together (my favourite is always making goop), but at the end of the day, the poor little fella is sick and just not enjoying life at the moment. Which means, he is full of beans that will be to excreting tears… and asking for the television to be switched on. When said technology is used, he squirms and moves about, attempting to use up his seemingly inexhaustible energy. Fast forward a few days and the swab results were negative for the pox (woohoo!!) and Litte Mate is getting back to his happy self. I’ve used the wake up call to get Little Mate booked in for his 18 month vax and his 18 month developmental check up. The mum guilt is leaving…for now anyway.